The 10 basically operates in a giant loop, serving Dartmouth Mall twice. 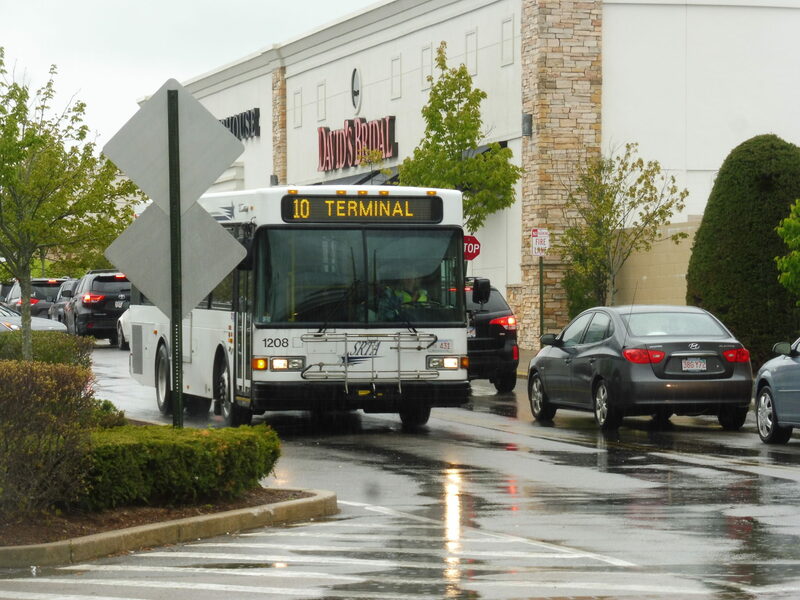 Because I missed the one going around the loop, I had to wait for the bus to come back and just go straight to the New Bedford Terminal. Let’s talk about the loop, though, because it’s basically the only thing this route has going for it. After serving the Dartmouth Mall, buses head up to a deviation into Ann and Hope Plaza, previously seen on my NB 9 ride (I wasn’t a fan). The route goes up Faunce Corner Road from there, passing a lot of suburban businesses and going under I-195. A Vanity Fair outlet store, of all things, gets a deviation, as well as the Hawthorn Medical Association. That’s basically where the development ends and Faunce Corner Road turns to farmland, so buses turn around and retrace their steps for a while. Right after passing I-195 again, the route goes down the residential Cross Road, specifically to serve (but not deviate into) the Cross Road Apartments. It’s all houses until a Walmart, at which point the route turns onto Frontage Road to better serve the giant outlet stores along State Road. This takes it back to the Dartmouth Mall, and that’s when I got on. The rest of the route is all parallel to the NB 9. 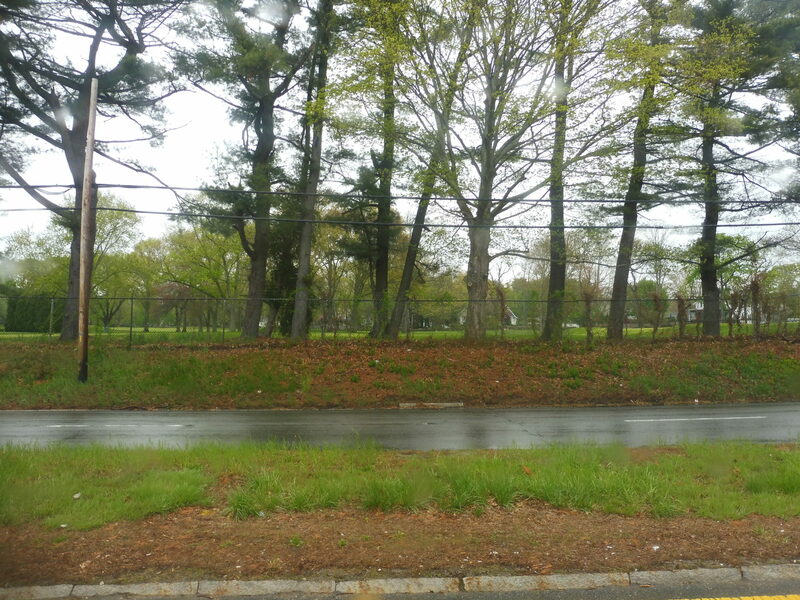 We went by the New Bedford Country Club, a cemetery, and some residential neighborhoods, but suburban businesses permeated throughout. We didn’t enter a real urban environment until the road split into two one-way segments, where the houses got a lot more dense and the businesses were corner stores and restaurants integrated into the neighborhood. 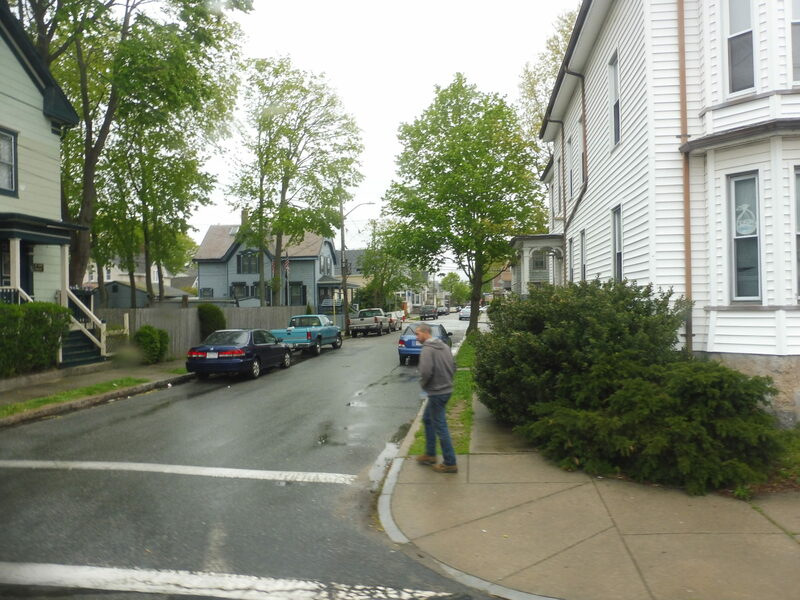 Finally, we merged onto North 6th Street and came down to the New Bedford Terminal. Houses along a side street. Ridership: About 266 people per day. My trip got ten people, and many of them got on at the mall, but I wish I could tell you what the ridership around the loop is like! Shoot. Pros: The route runs every hour, Monday through Saturday, which I think is all it needs. The idea of a Dartmouth loop is decent, since there’s a ton of development along Faunce Corner Road. I also like how on Saturdays, the 10 coordinates with the 9 to provide half-hourly service to the Dartmouth Mall; on weekdays when the 9 is every half hour, the 10 just gets slotted fifteen minutes after a 9 trip every hour. That’s not quite as good, but it’s the best that can be done when the two routes run at different headways. Cons: That loop business is pretty crazy – Ann and Hope Plaza is a dying strip mall, and I really don’t see much worth in deviating buses to a random clothing store (Vanity Fair), especially when it’s so close to the road. Aside from streamlining the loop, I also wonder if the route could be optimized better on weekdays, since it and the 9 run with different schedules. Nearby and Noteworthy: Uhhhh…bargain clothes, anyone? Okay, hear me out: make it a Dartmouth circulator on weekdays. Run it just around the loop every half hour, with coordinated connections to the 9. It could still go to New Bedford on Saturdays since the coordination is great, but I don’t think running it there on weekdays is as valuable. The problem is that with typical midday traffic conditions, the loop is awfully close to 30 minutes driving, and that’s with some of the lesser deviations cut out. That could affect the 10’s reliability. Well, as it stands, the route basically does the bare minimum as a loopy circulator route, and it’s fine. If only the loop was just a little bit faster, since I think running it as a circulator makes more sense.